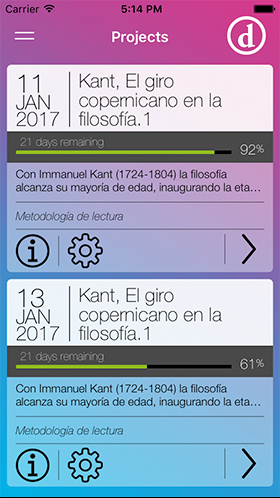 the app that makes you read on time! Lack of time to organize the reading and studying time. 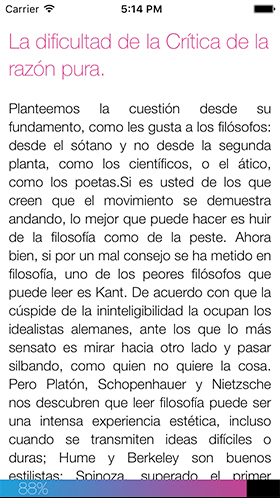 Increasing amount of content and less time to read it or study it. Society moving from desktop computing to ubiquitous computing = acces to content from any device, from any location, at any time and in any format. Content is going digital. Traditional content generators searching for new digital ways to publize. 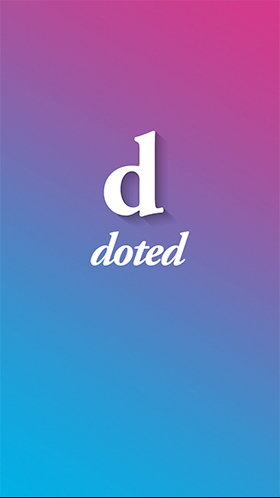 Doted is a tool that allows the user to achieve content in a very efficient way. Mobile is the only channel that millennials and digital natives want to use and know how to use. We provide with a very innovative tool that allows to get the most out of your lazy time. Doted is the only market place where publishers can offer a mix of content and reading/studying strategies. Publishers finally get the right tool to amortize their digital content. 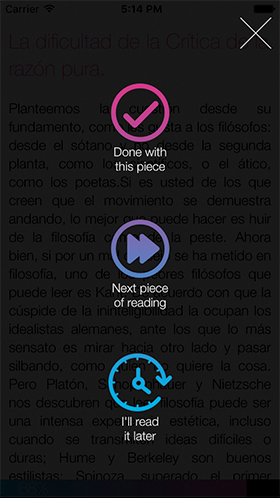 Doted uses very complex and innovative algorithms in order to know when is your best moment to read or study. Enjoy your spare time and take advantage of your lazy time. We will contact you as soon as it's available.